You only get once chance to make a first impression and for many businesses, that first impression comes when the potential customer drives into your parking lot and walks to your door. This is the time to make sure your property shines, whether you own a restaurant or hotel, or manage an apartment complex or shopping mall. Choosing the right commercial landscape and grounds maintenance contractor can make all the difference for your business. Our maintenance crew showing support for breast cancer awareness and research. Our commercial grounds maintenance customers tell us our prices are competitive and our service leads the industry. 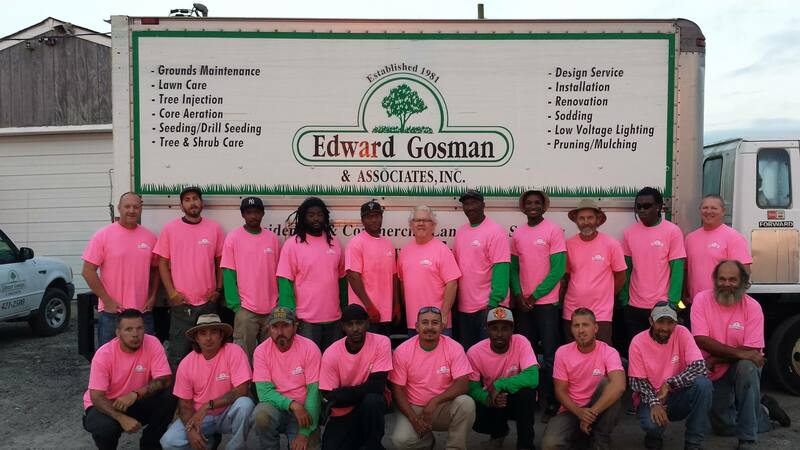 Find out about the Edward Gosman & Associates difference and get an estimate for your commercial property and grounds maintenance today by calling 757-421-2500. Or contact us online. Working with Edward Gosman and Associates has been a pleasure. This family run business follows through on all promises. They have a fine staff of workers that keep our common areas in our community looking their best! 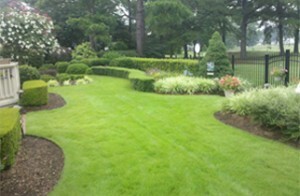 We would recommend them for any landscaping project you are considering.